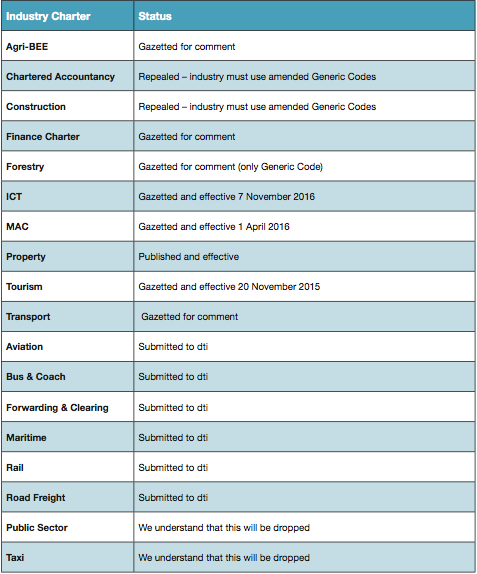 Sector Charter Councils had until 15 November 2015 to submit aligned Sector Codes for approval to Minister of Trade and Industry, Dr Rob Davies. The amended codes specify that businesses will be measured in terms of specific sector occupied by Broad-codes. However, not all sector codes are currently formally aligned with the Amended Based Black Economic Codes. This means that businesses that fall under the existing sector codes need to continue with current initiatives, but must be cognisant of new measurement criteria within the business contained in the Amended Codes. Thus it seems, in the absence of clear legal position, that commercial forces are at work and the old sector codes are de-facto, in force for an unknown period until they are either replaced by a Gazetted Code or repealed. All businesses falling under sector codes need to work towards obtaining maximum points on all elements, as there is no direct comparison among the various charters with respect to requirements for measurement. This results in certain sectors having harsher measurements and being disadvantaged. A key factor for organisations in these uncertain sectors is whether they can find an auditor willing to apply the old codes. The amendments to the B-BBEE Act and the codes fundamentally changed the B-BBEE framework and are a powerful expression of the government’s intention to promote and implement B-BBEE. Government policy has to date been based on the voluntary principle that the manner in which a firm applies B-BBEE is to be decided by the individual firm having regard to its own business needs and that the B-BBEE framework simply provides a methodology for measuring the B-BBEE rating of the firm. The ICT Sector Code No. 40407 Gazetted on 7th November is distinctively different in that it adjusts the point’s requirement for each BEE Level. BEE levels are much harder to achieve requiring more points than the Amended COGP. The consequence is that only generics or 100% black-owned EMEs can conceivably be a BEE level 1. 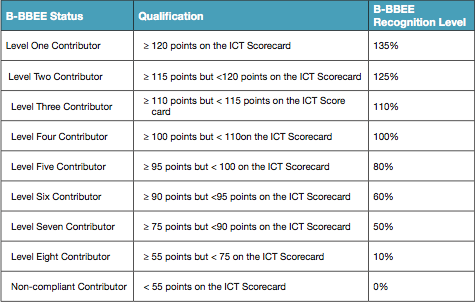 The highest that a QSE can achieve using the QSE scorecard is a level 2 since there are only 117 points available including bonus points. Black-owned QSEs seem not to have any advantage from enhanced 100% recognition. The legislation does not make provision for EME or QSE thresholds or definitions. QSEs are >R5m – R45m and Generics are >R45m – this differs from the amended codes. EAP targeting applies to Management Control and Skills Development for the Generic Code only. There is greater emphasis on the employment of black disabled people. 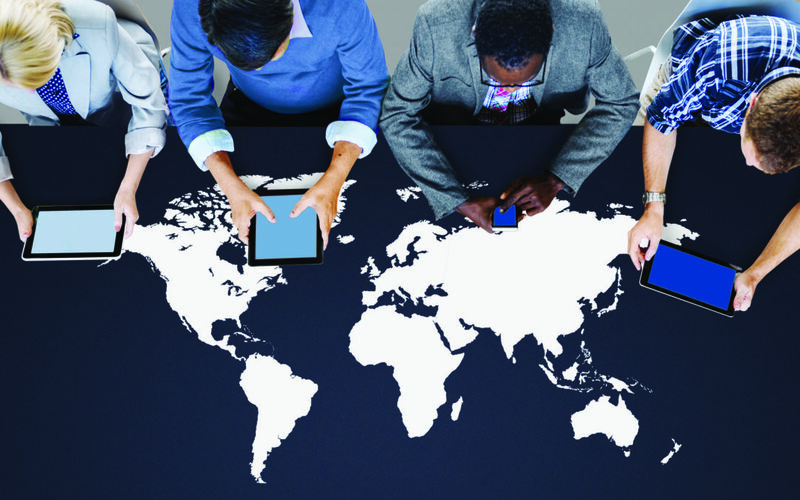 Skills Development spend is limited to learning programmes within the sector. The Enterprise and Supplier Development Benefit Factor Matrix has some lower contribution percentages than the Amended Codes. The QSE threshold is as per the dti COGP with the exception of Public Relations that is >R5m. There are two sets of compliance targets, current and 2018. Black ownership target is 40% going to 45%. Learnership Targets are 1.5% of staff for both employed and previously unemployed black people going to 2.5% in 2018. 100% absorption of previously unemployed learners commands 10 points. SED Target is 1% of NPAT but goes to 2.5% in 2018. There is an additional element covering targeting sector-specific programmes, promoting responsible behavioural changes in line with national strategic objectives. Five points are awarded for contributions achieving 1% of NPAT, going to 2.5% in 2018.